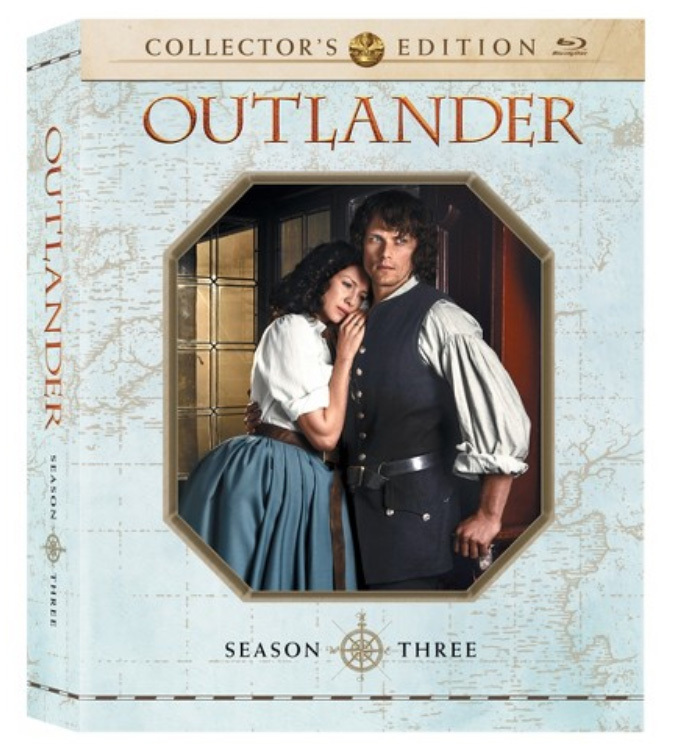 Those awaiting the day that you can have your own physical copy of Outlander season three only have to wait until April 10, 2018. That is the day that the DVD, Blu-ray, and the Collector’s Edition will be available to be all yours! The details for what each version contains was only released today. 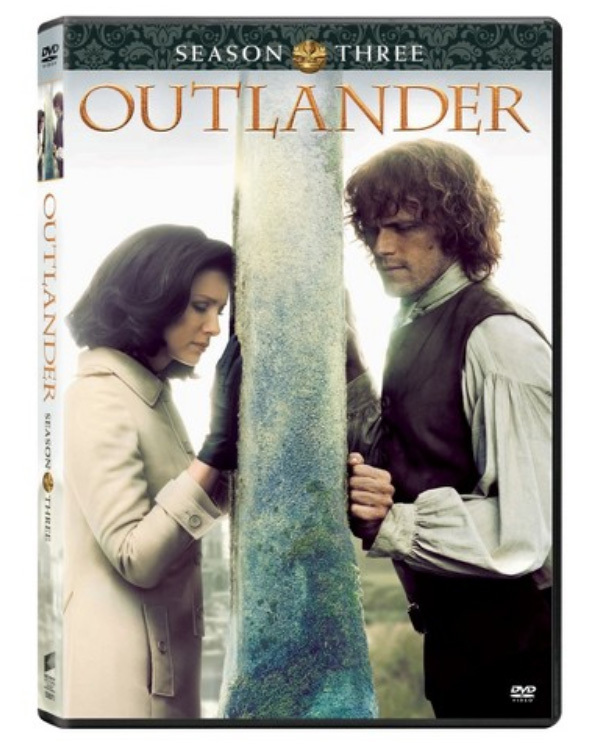 The DVD includes “27 deleted and extended scenes with introductions by Executive Producer Ronald D. Moore, a gag reel, and two featurettes. In ‘A Traveling Show Takes Sail,’ the cast and crew describe what it was like moving the production from Scotland to South Africa and the challenges shooting aboard the Artemis ship; and Lotte Verbeek and other cast and crew discuss Geillis Duncan’s return this season in ‘The Transformation of Geillis Duncan.’ “ Pre-order the DVD on Amazon, Barnes & Noble, and Target. 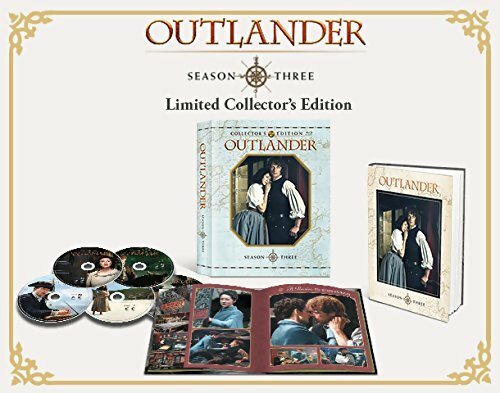 The Blu-ray and Collector’s Edition include “exclusive content includes an exclusive additional scene with Lord John Grey & Lady Isobel Dunsany from the episode “Of Lost Things,” the original chemistry test between Caitriona and Sam with an introduction by Ronald D. Moore, the Outlander podcasts for each episode with commentary from Ronald D. Moore, Maril Davis, Toni Graphia and Matthew B. Roberts, and four additional featurettes. ‘Claire & Jamie: Together Again’ discusses what it was like for Caitriona and Sam to work separately for half of the season and what it was like reuniting their characters after 20 years had passed, while ‘Jamie’s Revolution’ and ‘Claire: Through Time’ have Caitriona and Sam discussing their characters’ journeys this season. ‘Saying Goodbye to Frank & Jonathan Randall’ is a final farewell to Tobias Menzies and both of his integral characters, Frank and Black Jack Randall.” Pre-order the Blu-ray on Amazon, Barnes & Noble, and Target. The Collector’s Edition includes all of the above plus “special packaging, including 28 pages of behind-the-scenes photographs.” Pre-order the Collector’s Edition on Amazon and Target. This entry was posted in DVD/Blu-ray, TV Show News and tagged Blu-ray, Collector's Edition, DVD, Season Three by Sarah Ksiazek. Bookmark the permalink.